New research suggests that both good and bad moods can be ‘picked up’ from friends, but depression can’t. A team led by the University of Warwick has examined whether friends’ moods can affect an individual therefore implying that moods may spread across friendship networks. The team analysed data from the National Longitudinal Study of Adolescent to Adult Health which incorporates the moods and friendship networks of US adolescents in schools. Their paper Spreading of components of mood in adolescent social networks has been published in the journal Royal Society Open Science. The team’s findings imply that mood does spread over friendship networks, as do various different symptoms of depression such as helplessness and loss of interest. However they also found that they also found that the effect from lower or worse mood friends was not strong enough to push the other friends into depression. Using mathematical modelling they found that having more friends who suffer worse moods is associated with a higher probability of an individual experiencing low moods and a decreased probability of improving. They found the opposite applied to adolescents who had a more positive social circle. Public health statistics researcher Rob Eyre led the study. He said: “We investigated whether there is evidence for the individual components of mood (such as appetite, tiredness and sleep) spreading through US adolescent friendship networks while adjusting for confounding by modelling the transition probabilities of changing mood state over time. The World Health Organisation has estimated that depression affects 350 million people across the world, impacting on individual’s abilities to work and socialise and at worse leading to suicide. This study’s findings emphasise the need to also consider those who exhibit levels of depressive symptoms just below those needed for a diagnosis of actual depression when designing public health interventions. 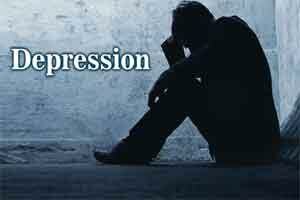 The study also helps confirm that there is more to depression than simply low mood. At the individual level, these findings imply that following the evidence-based advice for improving mood, e.g. exercise, sleeping well, and managing stress, can help a teenager’s friends as well as themselves. Whilst for depression, friends do not put an individual at risk of illness so a recommended course of action would be to show them support. Co-author, professor Frances Griffiths of Warwick Medical School said: “The results found here can inform public health policy and the design of interventions against depression in adolescents. Sub-threshold levels of depressive symptoms in adolescents is an issue of great current concern as they have been found to be very common, to cause a reduced quality of life and to lead to greater risk of depression later on in life than having no symptoms at all.